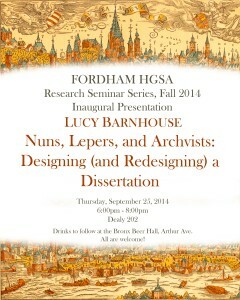 As the semester draws to a close, we would like to invite the History Department graduate students and faculty to an HGSA Research Seminar by Fordham Ph.D. candidate Christina Bruno entitled “Small Facts and Large Issues: Writing a Microhistory of the Observance,” to be held this Thursday, December 3 at 6:00 pm in Keating 116. Christina’s dissertation, entitled “Church Law and Society in Late Medieval Bologna: A Franciscan Vademecum in Context” centers around a single manuscript compiled by an Italian Observant Franciscan friar at the turn of the sixteenth century. For this presentation, Christina will introduce her manuscript source and her dissertation more generally, as well as offer her own solutions (so far) to the potential methodological problems associated with the microhistorical approach. This talk, part of an ongoing graduate student Research Seminar Series organized by the HGSA, is open to all students and faculty. 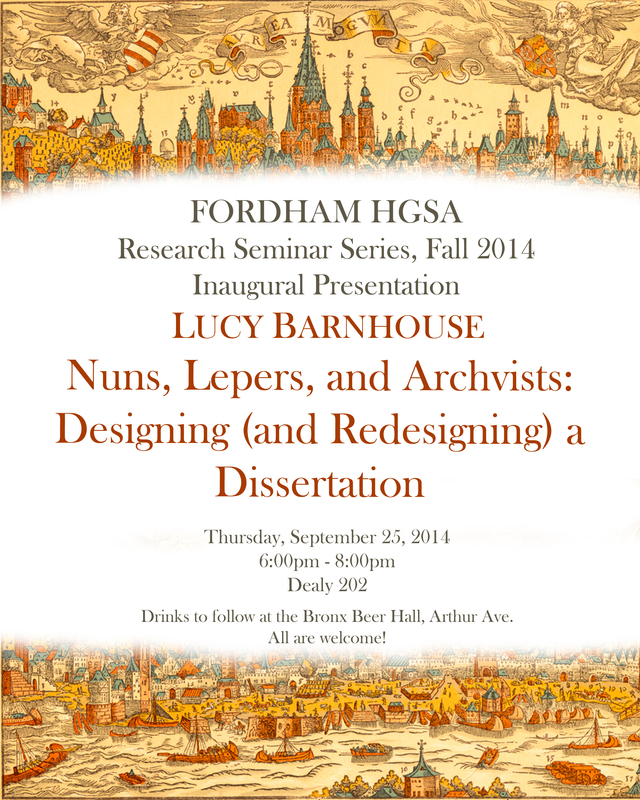 This series serves as a forum for advanced History graduate students to share their dissertation projects and research experiences with a wider audience. We will likely head over to the Bronx Beer Hall afterward for further convivial discussion. Please come! 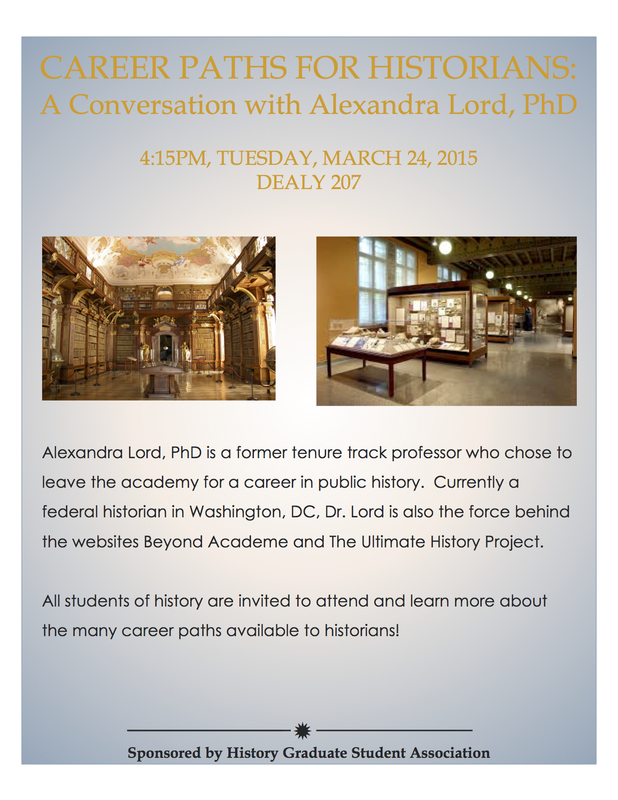 On March 24th (the Tuesday after Spring Break), Alexandra Lord, a former tenure- track professor and now a National Parks Service public historian (and the force behind the websites Beyond Academe and The Ultimate History Project), will speak to GSAS students about alternative career possibilities beyond the academy. 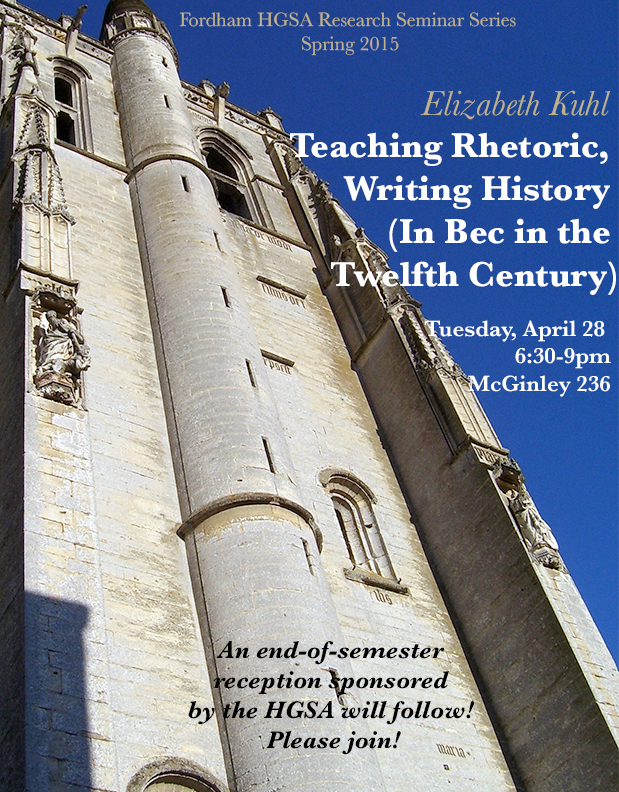 All history graduate students, undergraduates, and faculty are welcome!